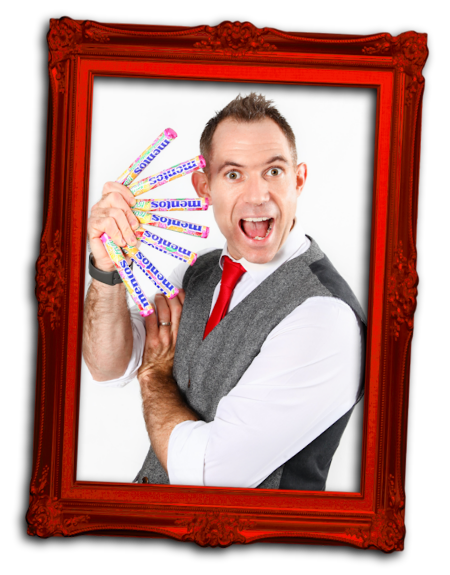 Join Martin Gardiner aka Magic Martin/Mr Eerius, for a look behind the scenes of how the Winner of the 2017 UK Family Entertainer of the Year, uses props and gimmicks to assist in the smooth running of his successful acts. This jam packed lecture featuring practical tips, tricks and ideas for any family/children’s entertainer or indeed stage magician, Martin’s style (with plenty of funny faces) will leave you refreshed and inspired to move your shows forward. Martin’s experience both in Children’s Entertainment and on the Cabaret Circuit, gives him a great insight into crossing over techniques to provide a polished fast paced acts for audiences of any age. 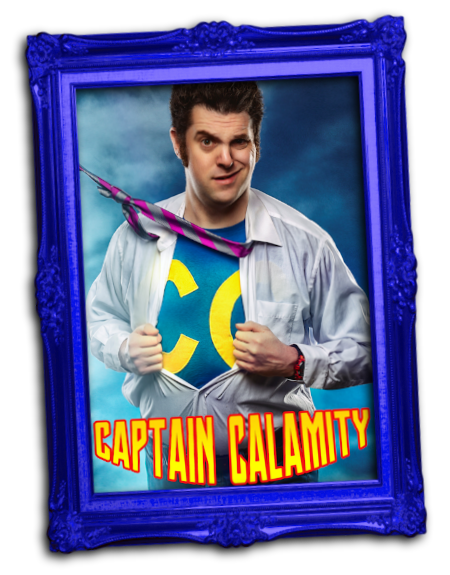 Dov Citron aka Captain Calamity has developed a unique programme for primary schools to combat bullying which is supported by the Anti-Bullying Alliance. 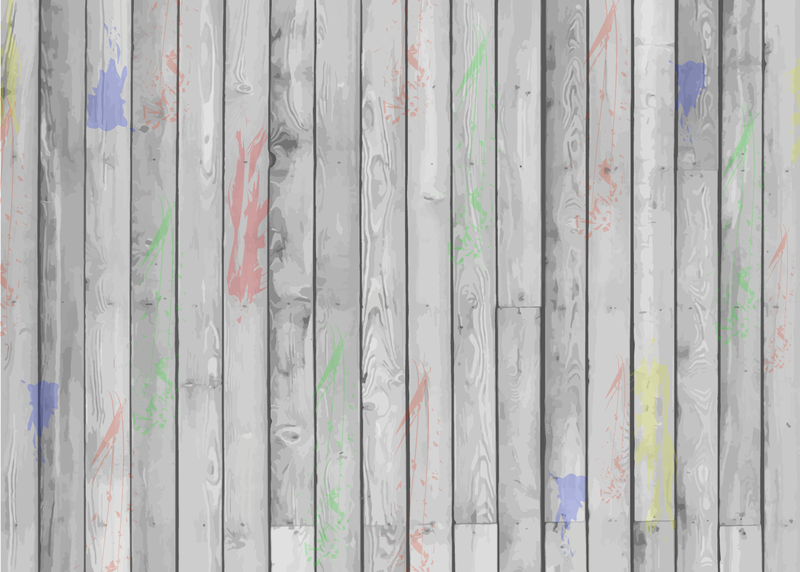 In his unique workshop/lecture he will explain and demonstrate how he structures his Anti-Bullying sessions, what games, magic and interactive activities he uses. How he promotes discussion. How he targets the different year groups within Primary education ensuring each session is hitting messages that the children can grasp and act upon. Dov will discuss how he approaches schools for work. How he makes a serious message engaging and fun. Who the Anti-Bullying Alliance are and how you can become an associate member and why ‘now’ is the right time for you to be using your skills as an entertainer to spread the message of Anti-Bullying by getting involved with schools in your area. How young people can recognise these and how they can be empowered to prevent them. Children’s and Family Entertainers are uniquely skilled in getting these vital messages across and creating awareness. These shows are also very low on kit and props and encourage the children themselves to take the lead whilst you use a series of catalysts to encourage discussion and debate. Anti-Bullying is now a massive part of the primary school calendar with discussions and projects throughout the year on the lead up to ‘odd socks day’ which is at the start of ‘Anti-Bullying Week’. I earn £600 per day whenever I make these school visits so this is more than just an important school package. This could be a serious source of income for you. 90% of the people who came to my Kidology Science Workshop 2 years ago are using those skills to add additional shows to their repertoire and have opened up a new revenue stream as a result. My workshops and lectures guarantee to open up real money making opportunities for you. Do not miss out. Andreas Minz aka Der Minze wowed the crowd at Ventarama with his buddy Lemgus in 2018, what a character he is! 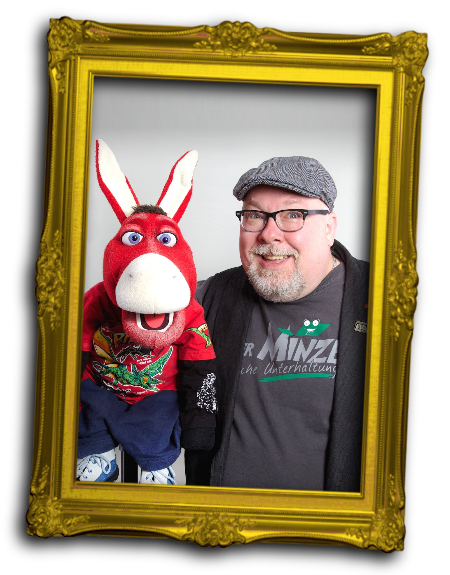 If you have a puppet you are struggling to bring to life, or are new to the world of puppetry/ventriloquism, this lecture is for you, Andreas will be talking about the theory of building the character of a puppet by building stories and gags around it.